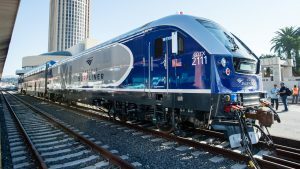 Always a big railroad moment, three California passenger rail agencies unveiled the next-generation motive power for Amtrak’s Pacific Surfliner trains. 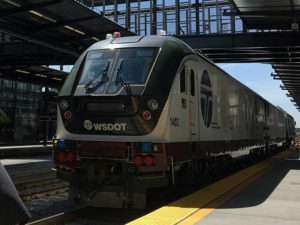 Ahead of the year-end holidays, the Washington State Department of Transportation is starting two additional Amtrak Cascades daily round-trips between Seattle and Portland. 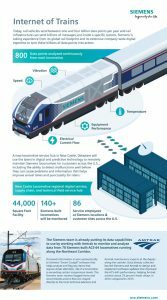 Siemens on Aug. 9 inaugurated its new Locomotive Service facility in New Castle, Del., that will operate as the company’s digital service, supply chain and technical field training hub in the region. 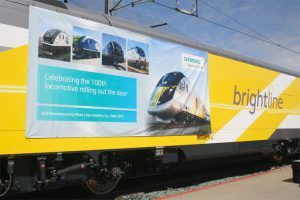 The Siemens-built, Cummins QSK-95-powered Charger diesel-electric locomotives hauling All Aboard Florida’s Brightline higher-speed express passenger trains connecting West Palm Beach, Fort Lauderdale and Miami along the Florida East Coast Railway main line will be fueled with blended biodiesel under a two-year contract with Florida Power & Light Company (FPL). 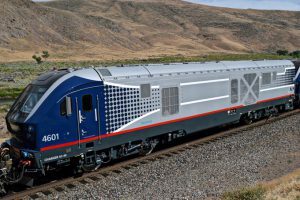 Siemens this week said it completed the 100th locomotive at its Sacramento, Calif. rail manufacturing hub. 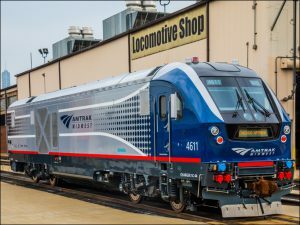 The newest locomotive to power Amtrak trains on the West Coast got its first official public showing over the weekend. 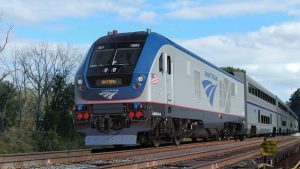 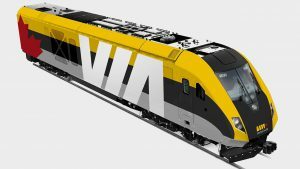 The Illinois Department of Transportation announced today that new Siemens SC-44 Charger locomotives have begun testing in Illinois.